Bennett Truck Transport embraces safe operation on our nation’s highways and has a Safety Culture that is chaired by the CEO/Owner, President and Senior Management. It is mandated that all employees, agents, and owner/operators attend Safety Training upon joining the company as well as remedial training throughout the year. Safety meetings are held across the country at locations in or near our major terminals or via the internet using WebEx. These meetings keep our employees and owner/operators current with all regulations local or federal as well as updates to our safety procedures or processes. 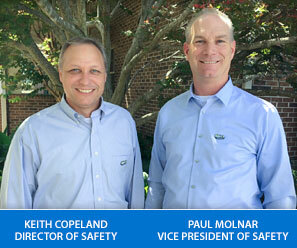 Our owner/operators participate in an annual safety bonus program. As part of our safety bonus criteria, owner/operators must attend two annual safety meetings and have no chargeable accidents or claims for the year to receive their revenue-based bonus. A safety bonus is also issued for each DOT roadside inspection where the owner/operator did not incur any violations. Last year Bennett Truck Transport paid over $70,000.00 in bonuses for safe driving. Our bonus program is just a one example of the steps we are willing to take to instill safety in our owner/operators, which results in higher quality service and customer satisfaction.